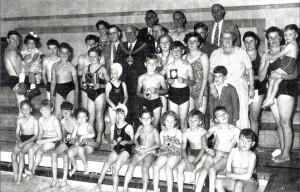 The Club has been serving the needs of Coventry’s disabled community since 1951, set up as a pioneering initiative of the Enterprise Club, providing disabled people access to swimming. Since the Club’s inception, volunteers, members and supporter have worked selflessly to provide disabled people of all ages and abilities, a truly inclusive and enjoyable environment, facilitating access to life enhancing exercise, fun and friendship through swimming. Many thousands of people have learned to swim with the Club over the years, with some notable successes such as David Moreton, Paralympic Silver Medalist and Vivienne Bateson M.B.E, Special Olympic Squad. 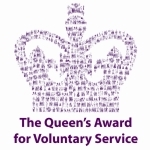 In recognition of its outstanding service to the Disabled Community for over 63 years, the Phoenix Swimming Club for Disabled People, was in 2014 honoured with the Queen’s Award for Voluntary Service. 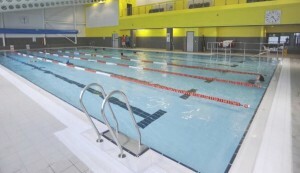 The Phoenix Swimming Club meets between 5 – 6 pm every Saturday at the AT7 Centre in Coventry.